The news follows the £10m restoration of the artist's only surviving tea room in Glasgow. 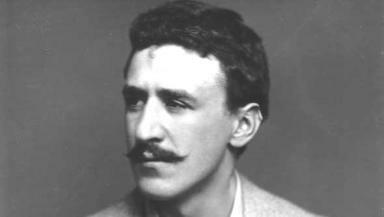 Mackintosh: This year marked 150 years since the artist's birth. The 150th anniversary of Charles Rennie Mackintosh's birth has helped venues connected to the artist record their best ever year for visitor numbers. More than 1.1 million people have visited Mackintosh venues in and around Glasgow this year, including Scotland Street School Museum, House for an Art Lover and Mackintosh House at The Hunterian, officials have revealed. It marks an 8% increase on the levels in 2017 and is up 30% compared to 2016, culture body Glasgow Life said. The figures were revealed in a year which saw the completion of a four-year, £10m restoration of Mackintosh's only surviving Tea Rooms on Sauchiehall Street, and a Mackintosh interior forming the centrepiece of the Scottish design galleries at the new V&A Dundee. Several venues, mostly in the west of the country, were involved in Mackintosh 150, a year-long programme of events and exhibitions celebrating the birth and legacy of the artist, architect and designer. However the past 12 months also saw a massive blaze rip through the famous Mackintosh Building at The Glasgow School of Art (GSA) for the second time in four years in June, devastating the building and forcing the school to close its visitor centre and Mackintosh walking tours programme. The record-breaking visitor figure, which includes GSA numbers up to June, reflects the success of the other venues in attracting people through their doors, officials believe. Councillor David McDonald, chair of Glasgow Life and depute leader of the city council, said: "The incredible legacy of Charles Rennie Mackintosh is part of the fabric of Glasgow and his buildings, art and design are of international significance so it was only right that we marked the 150th anniversary of his birth and his place in our shared history with something very special. "The overwhelmingly positive response we've had to Mackintosh 150 over the past year, backed by a record number of visitors to Mackintosh venues and events in Glasgow and beyond, confirms the huge interest and affection there is for him both at home and globally." Glasgow Life said the anniversary programme has been the springboard for the implementation of the city's new ten-year Mackintosh plan, which seeks to promote Mackintosh as Scotland's national architect and safeguard his legacy for the future. Mr McDonald added: "The tragedy and impact of the fire at our beloved Glasgow School of Art earlier this year and the shock and sadness felt here and around the world was a painful reminder of the fragility and importance not just of Mackintosh's work, but our wider built heritage. The incredible legacy of Charles Rennie Mackintosh is part of the fabric of Glasgow and his buildings, art and design are of international significance so it was only right that we marked the 150th anniversary of his birth." "That's why the city has come together with our Mackintosh partners to drive forward a new 10-year plan. By taking a long-term strategic approach we can safeguard his legacy for future years and look to improve learning opportunities and developing employability skills for our creative industries - nurturing Glasgow's next generation of talented artists, designers and makers." The venues in and surrounding Glasgow that took part in the Mackintosh 150 celebrations were the Kelvingrove Art Gallery and Museum, the Lighthouse, House for an Art Lover, Mackintosh Queen's Cross, Scotland Street School Museum, Mackintosh House, Mackintosh at the Willow, the GSA, Mackintosh Club and the Hill House in Helensburgh. Stuart Robertson, director of the Charles Rennie Mackintosh Society, said: "It is hugely encouraging that the past 12 months have seen record footfall among Mackintosh venues in Glasgow and the success of the Mackintosh 150 programme is the perfect platform on which to build our long-term partnership working and to take forward the ambitions of the city's 10-year Mackintosh plan."